Making The News Canada: The End of Print Newspapers in Canada by 2025? The End of Print Newspapers in Canada by 2025? No newspapers in print by 2025 in Canada—that’s what an expert in media trends is predicting. The prediction was made in August by Ken Goldstein in a paper titled Canada’s Digital Divides. Based on current trends, Goldstein says it is “likely there will be few, if any, printed daily newspapers” in Canada by that time. The reason for the change is dropping circulation and falling advertising. Based on current trend lines, circulation should be below five to ten percent by 2025. “We do not believe that a viable print business model exists for most general interest daily newspapers once paid circulation drops below 10 per cent of Canadian households,” he says. What’s true for mainstream newspapers is also true for church publications. 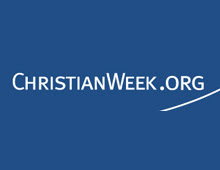 Last month ChristianWeek, which has existed since 1987, laid off its editorial staff and ended its print edition. It will become online only. “Moving forward, ChristianWeek will invest in online platforms,” said publisher Brian Koldyk in an e-mail to advertisers. Although the new online version will continue to solicit ads, it will try to make a go of it by also seeking donations. In an article in the Winnipeg Free Press, David Botting, chairman of the ChristianWeek board, said that the publication has been existing “on a shoestring for a long time." He said the paper's board of directors was ready to shut down the entire operation, but agreed to let two new staff try to make a go of it online. They will be paid if the website proves sustainable. News about changes at ChristianWeek will ripple through the Canadian Church Press membership. The CCP, as it is known, is the umbrella organization for 55 church publications. Twelve years ago it had 80 member publications. Nine have closed in the last five years. A 2015 survey found that almost half of the CCP’s member publications have declining circulation, aging readers and rising costs. Forty percent rely on denominations for subsidies or grants, meaning that their health is tied to the health of those denominations—some of which are experiencing declining membership and giving. “Like all publishers, those in the Christian industry feel pressure from the digital world,” says former CCP President Ian Adnams. Most church publications have print and online versions, but moving to only being online is problematic. The majority of paying readers are older, and still like getting printed magazines—which makes it tough to move to online-only formats favoured by younger people. The other problem is advertising; advertisers aren’t willing to pay the same rates for online ads as for those in print. Moving to an online-only model, like ChristianWeek, is a bold move. Montreal's La Presse is doing the same thing, moving to a tablet-only version in 2016. Will it work? By 2025 we'll know the answer.